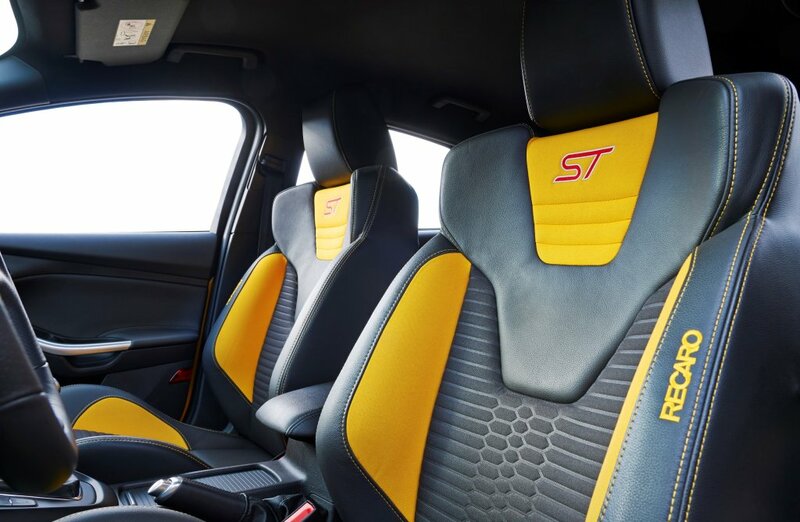 Ford reckons the new Ford Focus ST is in ‘a class of its own’. It says the new model offers ‘an even more responsive, balanced and refined driving experience with new chassis control technologies, tuned suspension and steering, and bespoke tyre specification’. For the first time, the performance car will be offered in both petrol and diesel. It describes the diesel engine as taking ‘day-to-day usability and sportiness to a new level by delivering the most fuel‑efficient and lowest CO2 Ford performance car ever’. The 185 PS 2.0-litre TDCi diesel has a 0-100kph acceleration time of 8.1seconds, puts out 110g/km of CO2 and has fuel consumption of 4.2l/100km. This is the same as the standard Ford Focus 1.6-litre TDCi 95PS. Meanwhile, the 250PS 2.0-litre EcoBoost (petrol) engine can go from 0-100kph in 6.5seconds, has fuel consumption of 6.8l/100km and puts out 159g/km CO2. Both models have the fuel efficient Auto Start/Stop system which Ford says improves the petrol engine’s fuel economy by six per cent, making it the most fuel-efficient petrol Focus ST. Both engines are also mated to a six-speed performance-oriented manual transmission. Top speed in the petrol is 248kph. Standard specification on both five-door models includes unique ST Body – front and rear bumper, spoiler, rocker panels and front grille; special ST suspension; 18” alloy wheels; heated front Recaro seats; auto lights and wipers; auto Start-Stop; ST scuff plates, keyless start and Thatcham alarm. 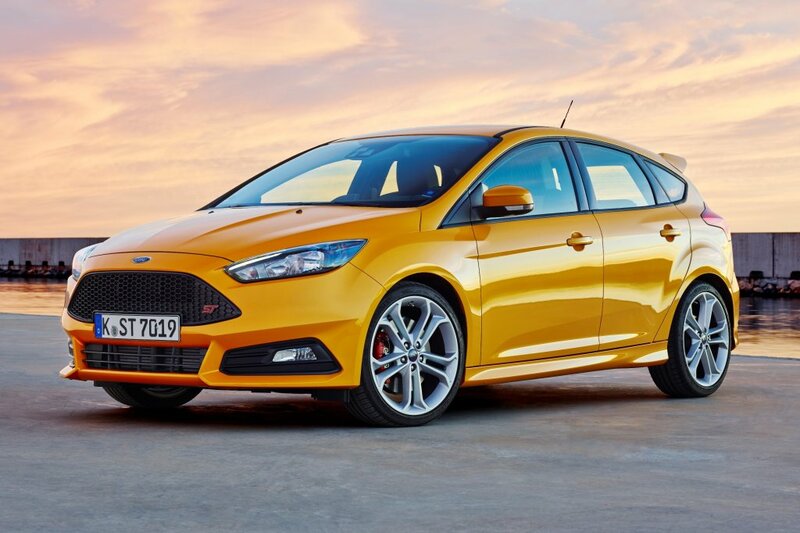 Ford Ireland managing director, Ciaran McMahon said: ‘Whether for the enthusiast or novice, the Focus ST possesses all the great,fun-to-drive qualities that customers want. The new Ford Focus ST goes on sale in Ireland in March, with prices starting from €39,100. Visit the Ford Ireland website or its Facebook page for further details.